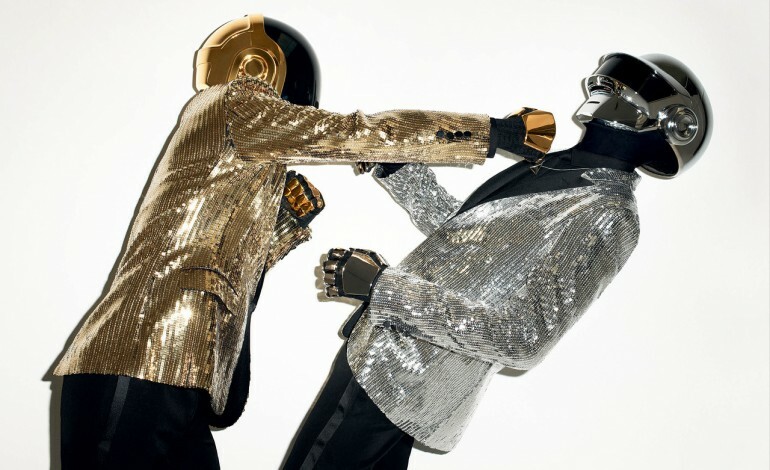 As unbelievable as it sounds, Daft Punk had never had a number one US single until now. After releasing their first album Homework in 1997, the French house duo finally reached the top of the charts thanks to The Weeknd. “Starboy,” their collaboration with the RnB singer is now sitting at No. 1 on the Billboard Hot 100. It is replacing meme sensation “Black Beatles” by Rae Sremmurd ft. Gucci Mane, after trailing for 8 weeks at No. 2. While “Starboy” is Daft Punk’s first US No. 1, it is the Weeknd’s 3rd, after “Can’t Feel My Face” and “The Hills” off of his second album Beauty Behind the Madness. Daft Punk have made it to the top of the US singles charts for the first time in their career after eight weeks at No.2. Billboard points out that Daft Punk waited 19 years, four months and a week between their first Hot 100 appearance and their first No. 1, which is the longest wait between a first Hot 100 visit and first No. 1 since Santana went almost 30 years between ‘Jingo’ (25 October, 1969) and his No. 1 ‘Smooth’ ft. Rob Thomas, which spent 12 weeks at No. 1 on 23 October, 1999. ‘Starboy”s follow-up single ‘I Feel It Coming’, also featuring Daft Punk, continues to climb up the charts.